Didn't even know how easy that could be done. That's awesome! Over the years the screws that hold the trim on the door-edges are either missing or the screw-holes were different sizes. As a result, I have various size screws with various size screw-heads. Then, where the woodgrain wraps around inside the door with an unfinished end. So... I covered it all with a a piece of weatherstripping. It seems most of the used lift-gate sill-plates had scratches in the same place. I even purchased a NOS that then scratched in the same place. Concluded that the latch in the lift-gate with too tight to the sill-plate. So... 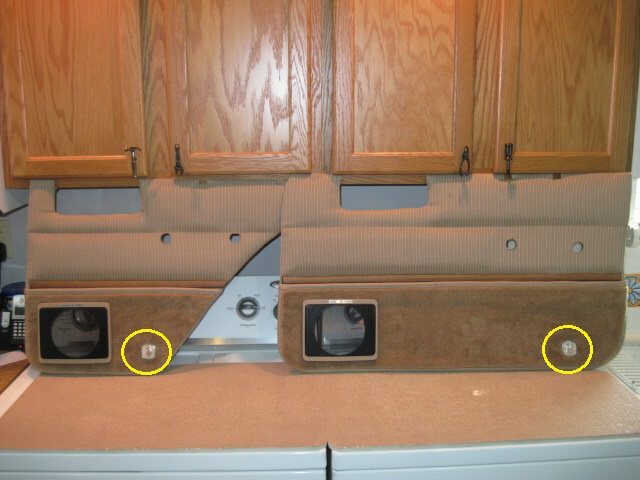 I cut-out around the latch, then covered the sill-plate with flex-carpet; And lined the opening with the same adhesive-back material I put between the bumper and gap. The dash is now reassembled. Radio in (power-antenna operational), and face-plate installed. Then... I stood-back and could still see some of the wiring under the dash. Used a piece of corner-molding and covered it with flex-carpet... 3M taped to the underneath. Then... Time to cover the black separator between the upper and lower dashes. Attached a filler between screw-heads to level (see below), then covered with black-molding. Used a heat-gun to contour around the edges and around the side to cover-up the seam (see below). In search of the right power-seat-bezel - NOS or virgin condition... Help?